Ashamed as I am to admit this, I haven’t really explored much of my own country. Aside from the usual beaches and resorts, I’ve failed to truly capture the beauty of the Philippines. There are no excuses for this–which is why before 2014 ended, I promised myself that I’d start traveling around the Philippines more. First on my very long list is Tarlac. I’ve been wanting to trek to Mt. Pinatubo since forever so when my friends and I finally agreed on a date, we got the help of V.E.S Travel and Tours to arrange our trip. For day tours to Mt. Pinatubo, call time is usually at 3am. But because we didn’t want to be groggy during the 2-hour trek to Mt. Pinatubo, we chose to stay overnight in Tarlac instead. This way we can have a full day of rest at the hotel and start the trek a bit later (not on an ungodly hour) the next day. Good thing V.E.S runs a hotel right in the heart of Tarlac called V.E.S Food Resort and Villas. They picked us up from Manila, brought us straight to the hotel and arranged all of our meals (which, by the way, were all scumptious). It was just what we needed to jumpstart our Pinatubo tour! I’m sure you’re all excited to see how our tour went. I’m saving those photos for my next post though. 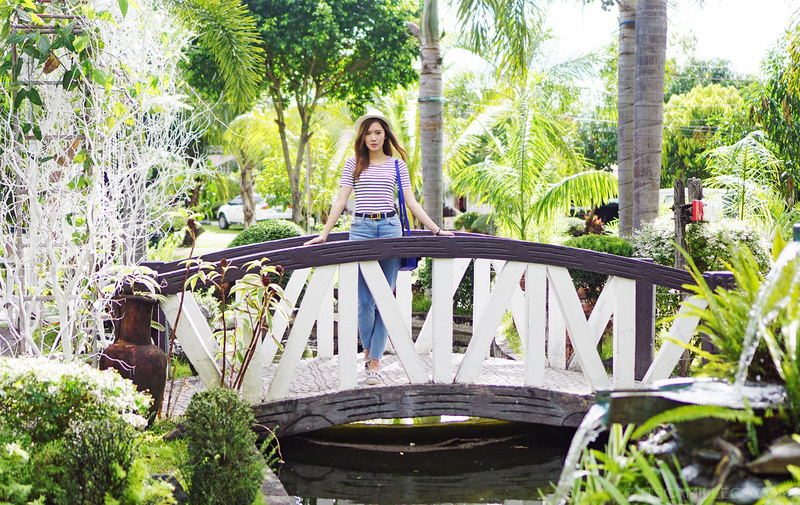 So for now, let me share with you my first #OOTD photos in Tarlac, taken at V.E.S Food Resort And Villas’ beautiful garden. I too, have never explored much of the country much less outside Cebu. Reading and looking at your posts when you travel to various places made me feel like I’m there. Let’s not forget those cute and fab clothes you wear too! Which are definitely and “it”. Awww thanks Kim! Time to travel more! Hail trekker! 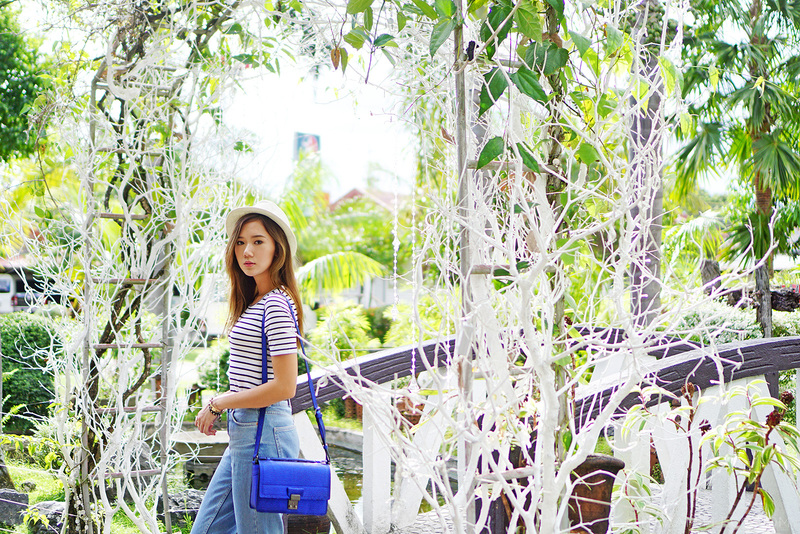 Your look is all set for some exploring, Miss Camille! The Villas’ gardens are gorgeous! I love their concept of creating archways with the pots of flowers. It’s a joy to see you look so hip and fun! This outfit made me think of those blessed days where you could be up for anything! A nice quiet walk, or a total adventure through the city. Your hat especially accentuates the adventure side. I think of picnics with pink lemonade and grilled chicken sandwiches, and your hat getting blown away by a playful breeze and a resulting chase. Your great top paired with mom jeans is simple, but you carry the pieces with such poise. I’m especially fond of the stripe pattern on clothes, and I think this particular top fits you well. 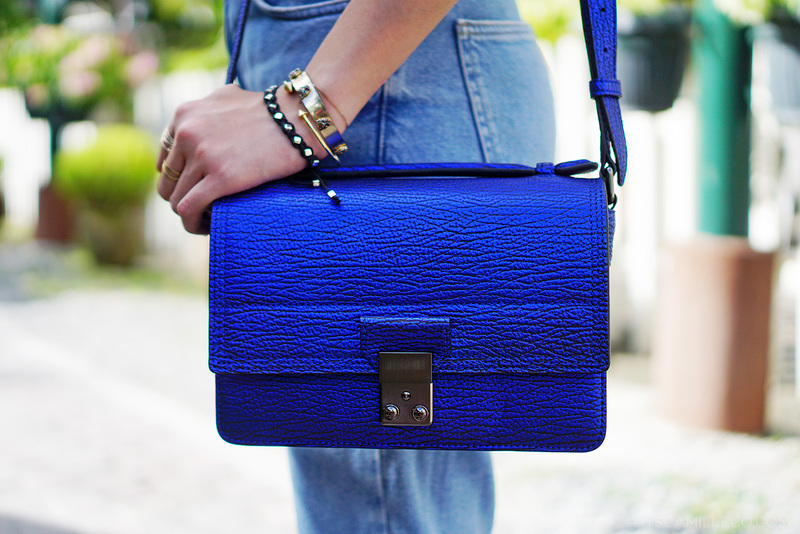 Oh, and hello again to that blue satchel of yours! )I’ve been scouring, and I’ve found a pink and a white one. Still juggling the pros and cons of either color.) You brought it all together with that vintage belt. It transformed the whole look into a classic statement. Your shoes are my favorite here. The well-worn look is endearing, and I love the moccasin patterns! I’m looking forward to your travel posts from Tarlac as well as Dubai. From your Instagram posts, everything is a brilliant array of color! P.S. 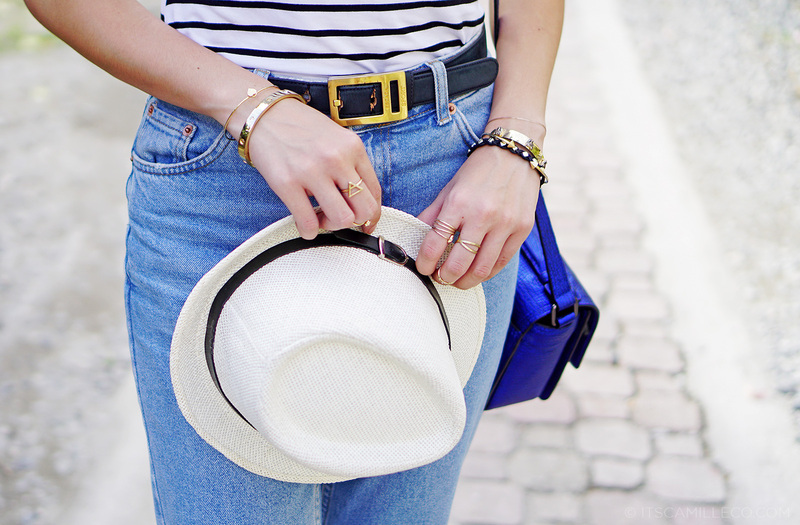 This outfit has moved to the top of my favorites list on casual style. It’s more than nostalgic, it’s the ultimate reminder that simplicity and a love for classic pieces are two very important things to remember . I just discovered your blog a few weeks back and I am really inspired with your posts – fashion or beauty. And I got really motivated to dress up more everyday. I love how you put everything together, they are trendy yet functional. A follow on G+ and I landed here and all I can see is a huge inspiration. I’ve been on several pages and I am still in awe. Great pictures, love the text which accompanies each post – not too much and not too little. You bet I’m going to be a regular visitor from now on. Thanks for the follow. The outfit is simple but so gorgeous! The Resort looks amazing as well. 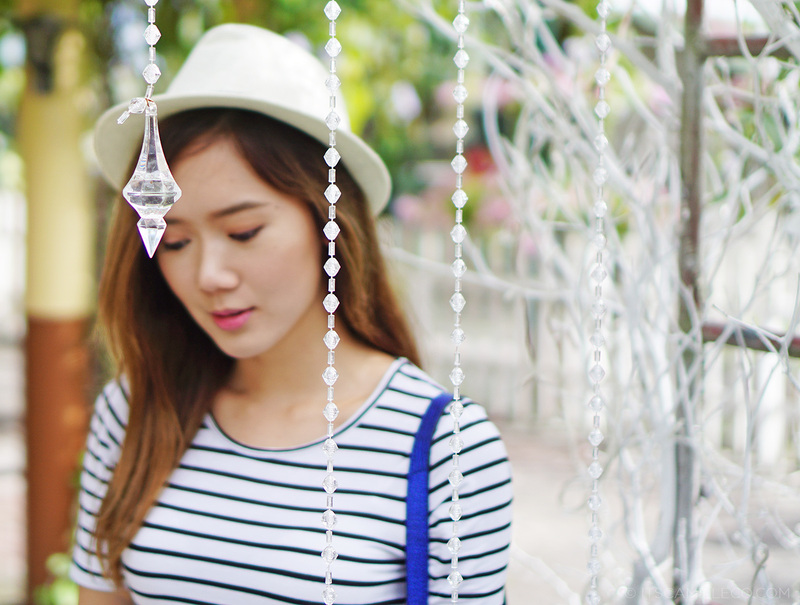 Thank you for sharing your OOTDs Camille. Your blog is a help for someone like me who is not Fashionista enough, but I find it really fun to be expressive and stylish. My only wish: at a budget. Love the classy Normcore look. I always go by Tarlac whenever I go to Baguio or Pangasinan but I’ve never really toured it. I never knew there were tourist spots in Tarlac that’s worth discovering. Great post and you look awesome. Lovely garden!!! I don’t even know that we have that kind of place here in our country. Such a sight to see! :) Love your outfit too! Oh my, Mt. Pinatubo muna! :) LOL! WONDERFUL OUTFIT AND GREAT PHOTOS!! Ooh nakakabitin! I’m excited to see those Pinatubo posts Cams! I like how comfy this outfit looks. It’s so refreshing and it matches the garden. I want to go to vacation too. If only. Haha. Thanks Anne! Pinatubo post is up!